One of the key defining moments of the Kenyan tech startup ecosystem was in 2010 when m:Lab was founded. Entrepreneurs innovating in the mobile technology space received training and incubation services which also led to the creation of Pivot East, the first regional pitching competition for startups. The m:Lab while funded by InfoDev was birthed by the iHub, University of Nairobi and Enablis, a technology training company. Another key ingredient was the Tandaa Grants by the Kenyan Ministry of ICT. These grants were an intervention by the Government to fund a few startups which would showcase Kenya’s talent in various sectors, but also spur more activity in the sector. A total of 45 companies were funded between the year 2010 and 2012. Having noted this, the Kenyan ecosystem is one that has thrived without much government intervention. One could say that the lack of government intervention has actually been a catalyst for the space to thrive. Other drivers of the ecosystem include laying of the undersea fibre optic cables in 2009, leading to improved bandwidth and reduced costs of high speed internet connectivity and 3G and later 4G mobile internet availability. This created access to consumers for most mobile ‘app’ focused startups. 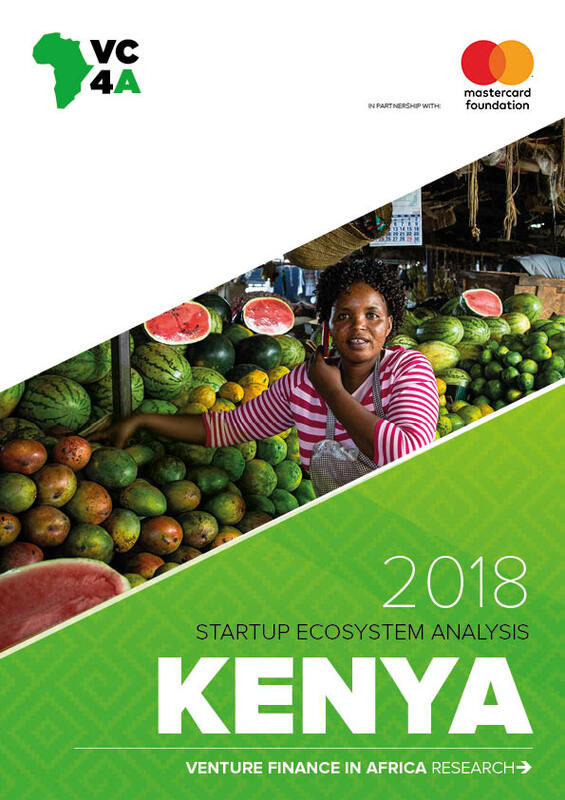 Another defining aspect of the startup ecosystem is M-Pesa, the revolutionary mobile money transfer system of Kenya’s number one telco Safaricom, which has morphed into an accessible payments collection solution for business. Its penetration at over 70% has helped both B2C and B2B startups collect payments from their customers and has enabled a large number of businesses to build on top of this mobile payment infrastructure. It has made life for entrepreneurs easier by helping them to focus on the product, knowing that the payment part is sorted. The ecosystem has also seen development in other areas, including a growing number of incubators, funding from Venture Capital funds, impact investors and angel investors. Many startup programs have come and gone, while others like Growth Africa (started in the early 2000’s), iHub and Nailab (2010) have grown consistently since their founding date. Funding is increasingly more available through foreign and local venture funds, angel communities and microfinancing options. Successful recent raises to highlight include: Cellulant who raised a USD 47.5M in Series C round, Africa’s Talking who raised USD 8.6 million, BitPesa who raised USD 10M, Twiga who raised USD 20.5M and Sendy who raised USD 3M. With the setup of Huduma (Service) Centres by the Kenyan government, a one-stop shop for all business interaction with government, from setup, licenses, and taxes, combined with the pleasant environment of Nairobi, the Kenyan startup ecosystem is attractive to anyone who wants to take a bite. A few key challenges and debates in the ecosystem have been around permeation of capital to all entrepreneurs and the impact of years of grant money on the ecosystem. On the issue of capital flow to all entrepreneurs, the debate has raged as to how to get more local and Kenyan founders capital, since most capital is seen as going to international founders. On the impact of grants, while they have had lots of positive impacts, they have also created an undercurrent that has made entrepreneurs soft and in some cases made it quite difficult to do business in certain areas. Stephen Gugu is an angel investor, entrepreneur and lecturer. As an angel he invests with Viktoria Business Angels and is a founding member. He is also a founder of Viktoria Ventures, which manages the network. On a day-to-day basis, he runs InVhestia Africa, a company that develops, and trains on, financial models for startups, SMEs, corporates and private equity investors in Africa to aid them in removing gambles from key financial decisions. Key applications of InVhestia’s work include valuation, pricing, market entry and exit analysis, negotiations and fundraising. As a lecturer, Stephen runs the Private Equity and Venture Capital program at Strathmore Business School in Kenya. 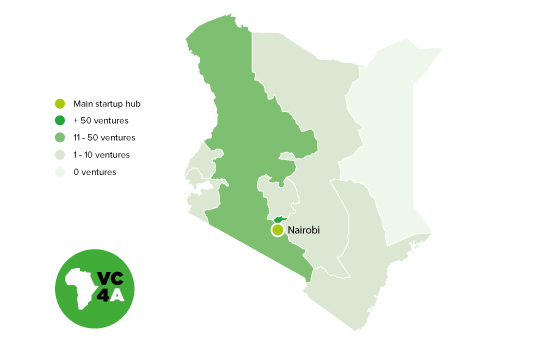 VC4A research on 1,333 Kenyan ventures registered on VC4A.com in the country shows a clear relationship between venture performance and the support these ventures receive from the Kenya startup ecosystem. For example, 50% of the companies participating in ecosystem support programs secure investment. Even more interesting, the average investment secured is almost 6 times higher for the ventures receiving ecosystem support: USD $191K vs USD $34K. These companies are also more likely to create new jobs. More specifically, 72% of the Kenya ventures are creating jobs with an average of 5.5 FTE per venture. When taking a further look at the age groups, 71% of them are between 12 and 35 years which is above the percentage on a pan-African scale (60%). This is a considerable contribution to the country given its growing population and justifies further investment in the growth and development of the startup ecosystem and the entrepreneurs it supports.